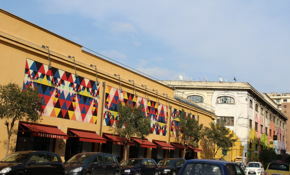 Porto Fluviale e` una vero landmark del quartiere Ostiense. 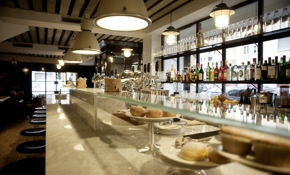 Attrae una vasta clientela per ogni ora del giorno: a pranzo, per aperitivo, la cena o il drink di fine serata. Il calendario di eventi e` vario e spazia da temi culinari a quelli culturali. Grandi pareti per l`esibizione di pubblicita` commerciali o artistiche sono posizionate in corrispondenza della prospettiva principale del locale, visibili dal bar e dalla maggioranza dei tavoli. Sono state gia` realizzate opere ad hoc di tipo commerciale e hanno riscosso grande successo tra il pubblico del locale. Porto Fluviale is very popular destination within the neighbourhood. Our extremely popular menu attracts friendly customers coming for lunch, dinner and evening drinking. We have several large walls positioned at the main section of the space that are available to exhibit commercial and artists products. 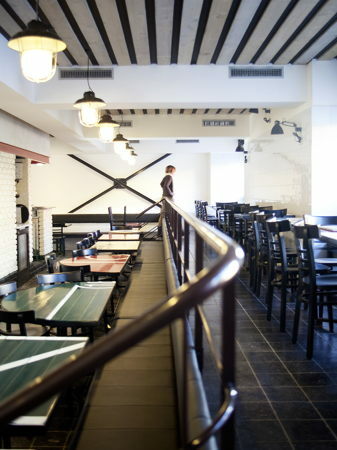 The walls are visible from the bar and from the majority of the tables. 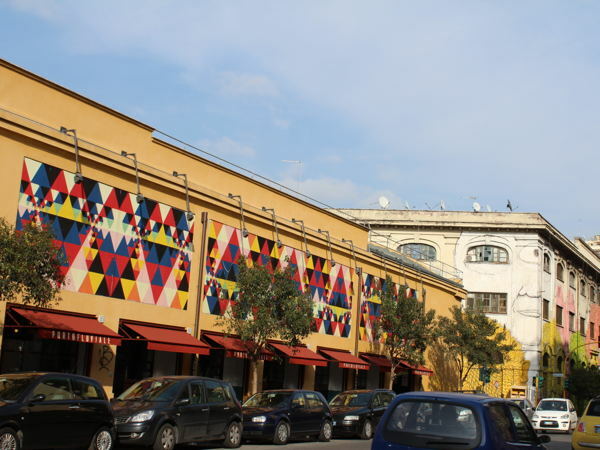 Porto Fluviale has already worked on several successful on-site installations of commercial design and artworks. 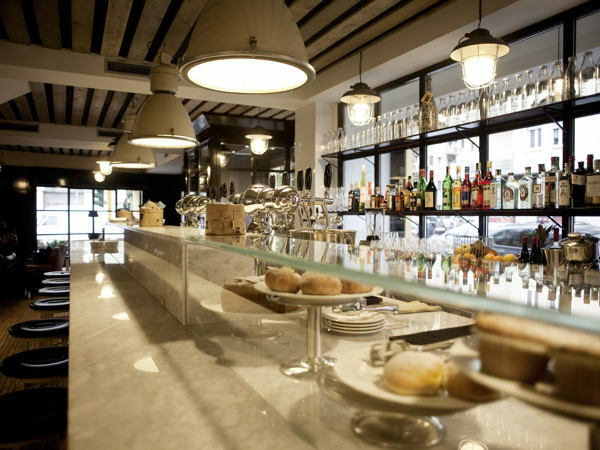 Portofluviale is like a great puzzle, designed in an ex-warehouse 900m2 big, and the main pieces are the Trattoria, the Pizzeria, the Bar, the Lounge and the Street-food kitchen. A deep multipurpose, multifunctional and especially convivial spirit divides Porto Fluviale in four zones. They are all characterized by a desire to make food available for everyone, to bring back a playful attitude at the table, to create a good atmosphere, to cook well-made food, use fresh products and set prices to suit all. 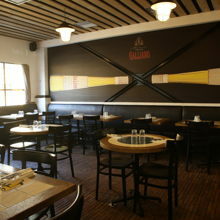 The Trattoria offers traditional dishes from various Italian regions. 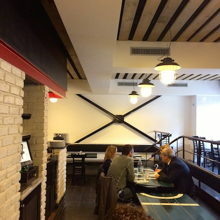 The Pizzeria has two ovens to give the client the possibility to choose between the "roman style" pizza or the "naples style" with the fat edge. 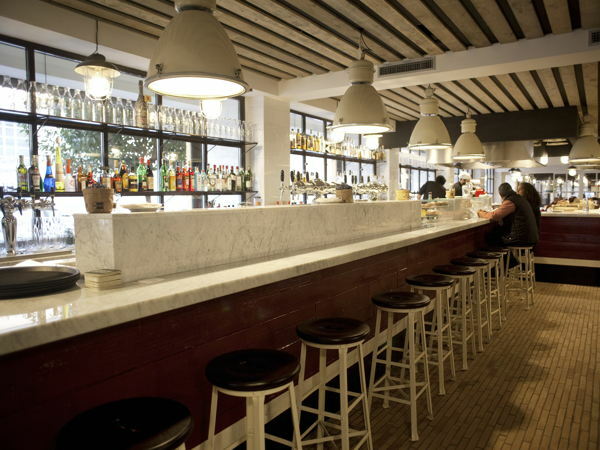 The Bar is for quick lunches, or of course for aperitifs. There is the street-food ring-kitchen for whoever would like to taste some street-food specialities from the entire peninsula, and not just that. And at last, the Lounge, you just have to come and experience it. Lots of different rendezvous for all hours of the day, 7 days a week from 10.30 in the morning till 2.00 at night (Fridays and Saturdays till 3am), to eat, drink, chat, read, participate at our events and to meet people.